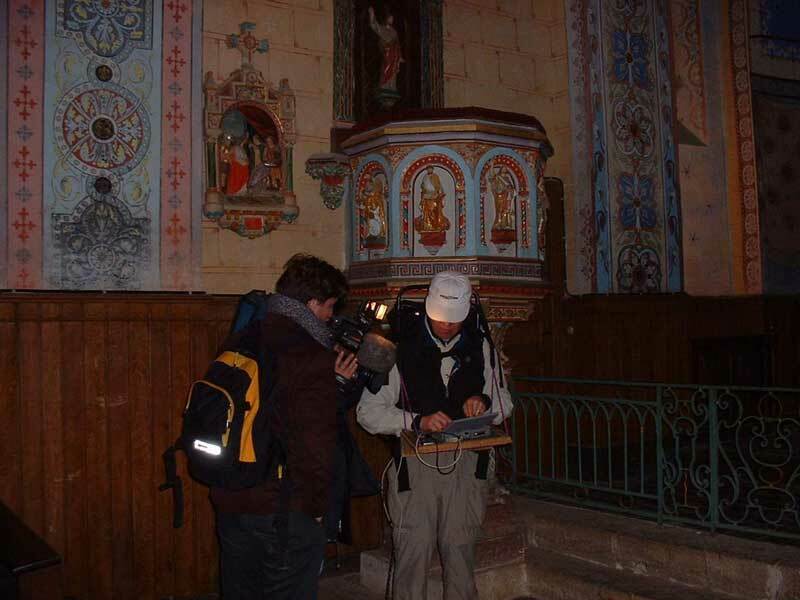 Détection dans l'église de Rennes-le-Château le 6 mars 2002 avec un commentaire critique sur les performances des chercheurs! 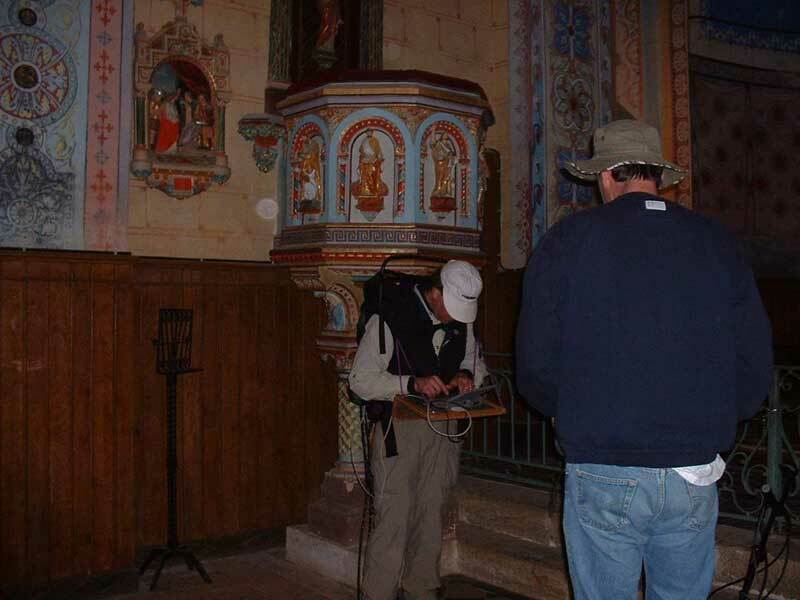 In the summer of 2001, using echo-sounding techniques, a team from the J Meril Foundation (encoder "excavations") of California lead by Doctor Eisenman from the University of Longbeach, discovered a crypt beneath the church and March 2002 : The team has returned and is carrying out more detailed echo soundings. Following the somewhat recent archaeological excavations in and around the church it was disclosed that there was possibly one or two crypts below the church (encoder "excavations").